I will be getting in touch with you prob next year to get a set... keep making these! 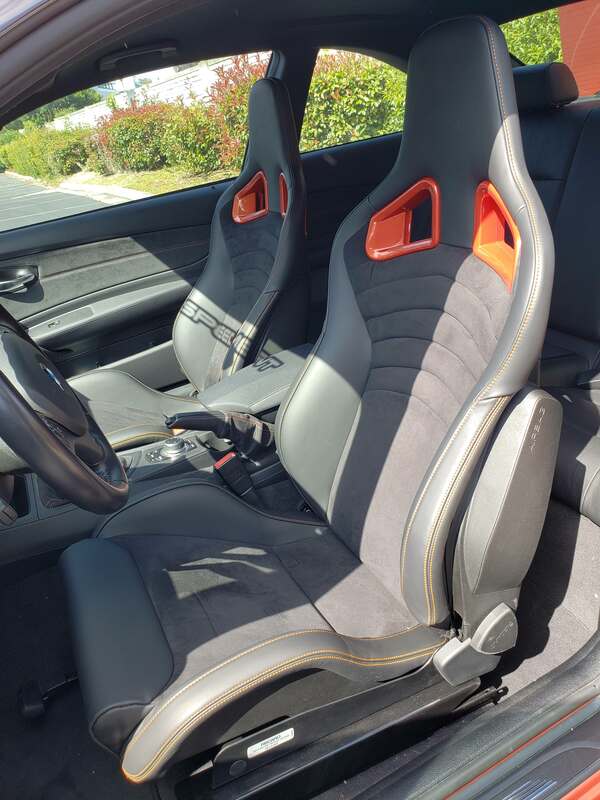 I’m interested in learning more about these seats and how they fit. Most importantly how it affects access to the rear seats and how they install in the car. The seat back folds forward and the bases slide forward as well when you pull the tab on the backside of the seat. Instead of electric adjustment, its manual. Not sure if the CSs slide fwd w/o manually using the slider. In other words tilt does not engage sliders unless OEM sliders are used and the backseat frame must have the lever. Pic of OEM manual sliders on CS frame w/ custom brackets. Received mine from Recaro Max a couple weeks ago. Amazing job and to the specs I requested. Heated and Airbags work as well. As mentioned above, the brackets do not allow the seats to slide when the seat back is pulled forward (For rear passengers.) The lever only allows the back to quickly move forward. My 1M is US spec but I live in Germany...can you send me PM with pricing for a set, shipping to 66885 in Germany? Yes this is correct. There is a lever at the bottom on the back of the seat that this wire clips into and its activated when the backrest is released to fold forward. Those parts are on an E82 coupe seat (non electric) but they will only fit up on BMW specific brackets, not normal Recaro CS ones. So I am able to use lowered ones or original ones. Last edited by Ricardo Max; 07-28-2018 at 01:54 AM. 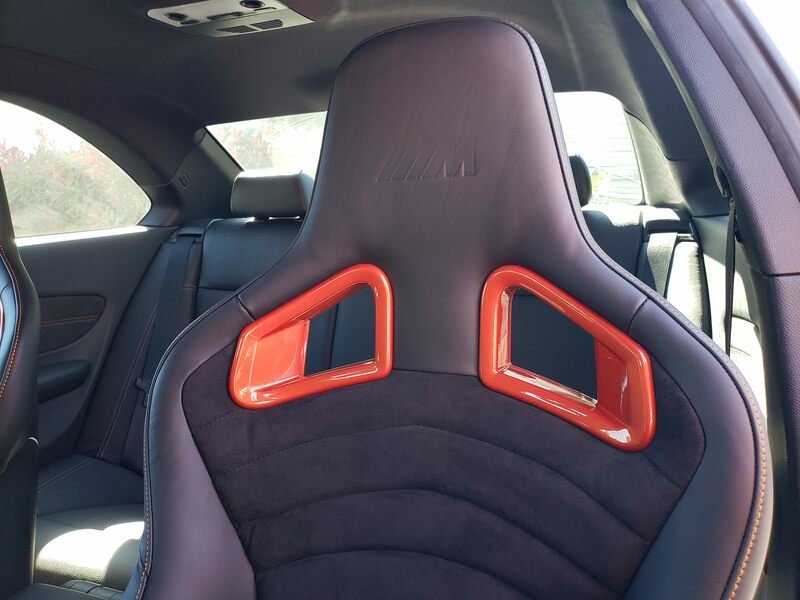 I ordered a set of those exact alcantara and orange accents seats from Ricardo Max. Waited 3 months patiently with constant push back on date further and further... due to seat shortages from Recaro (as he said). After 3 months I kindly requested a refund for my $500 deposit since my trust started to dwindle. Took many angry e-mails to get my money back. Was forced to open a dispute with PayPal. Just my .05 on working with Ricardo Max. That's a bummer. I had no problems with Recaro Max. I had the same delay due to shortage. I put down my initial deposit on Apr 1. On May 23rd, the seats were finished. I received them on Jun 11. So a little over 2 months to receive from date of deposit. I am glad that you had a good experience. I wish I did because those seats look amazing. I sent him the deposit on March 20th, with expected finish date of 4-6 weeks. I requested the refund for my deposit on June 8th. When I requested my refund for the deposit from him, I clearly stated that when the seats are good and ready, I would buy them right away. I simply wanted the deposit back because there was no clear end date in sight. He refused, and after a few angry e-mails, I was forced to open a dispute with PayPal. Only then did he give me a refund. Wish things worked out better. Sounds like there are workflow, timetable and communication issues more than overt scamming. I too had a good experience with recaro max, 5-6 weeks from deposit to delivery on full custom CS's. from Poland to NY. Recaro _max also sourced me a genuine Recaro CS Airbag and it was with me in no time. I believe the stock issues. The Australian Recaro distributor has no stock of Recaro CS's and no word on when they'll be coming in.